Piezo tiles will be installed on the six miles of 35W that run through Duluth and are on the ground. This way, integrity of overpasses and bridges will not be compromised and this will also allow more energy to be created by any snow or rain that runs down the hillside and sits on the piezo tiles. Currently five countries have installed piezoelectric systems. Installation of the piezo tiles underneath 35W would make Duluth the first city in the US and in the western hemisphere to capitalize on this technology. This installation could not only put Duluth on the map, but directly affect the mayor’s 90 by 20 goal. Revenue generated from energy harnessed by piezo tiles on sections of 35W in Duluth, MN will be put into various funds to benefit the city. One fund would be dedicated to neighborhoods and used to upgrade infrastructure. The upgrades would incorporate piezotechnology installations to produce energy and money for the neighborhood. We started looking at five specific neighborhoods within Duluth; all have comprehensive plans, active communities, and common goals. These neighborhoods are Morgan Park, West Duluth, Lincoln Park and the combined Central and East Hillside communities. Morgan Park provided us with an opportunity to show how this technology can mark the future developments for the community. 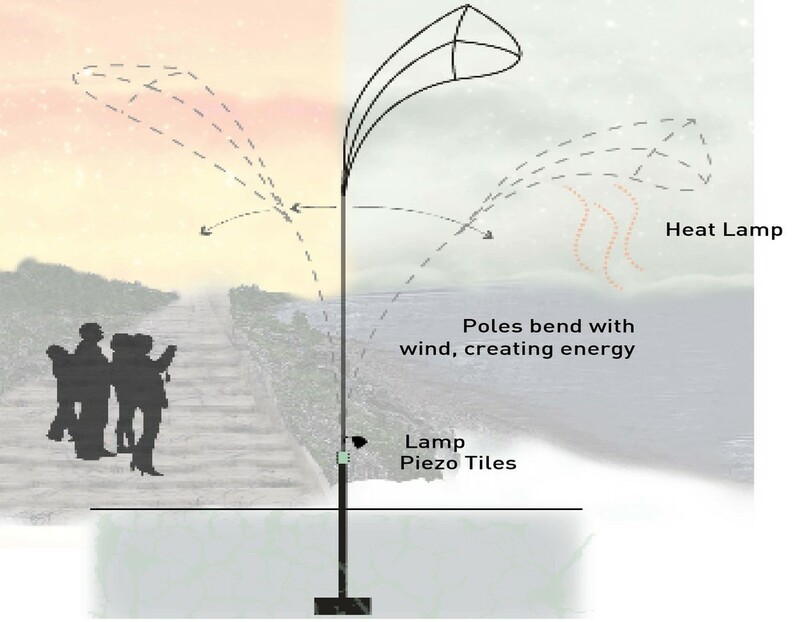 The technology would be in the form of poles that bend in the wind or when covered with snow, which create compression on piezotiles to produce energy. View the complete presentation here.